KRAFTRIP IN THE CITY is my original project through my own experiences in New York. 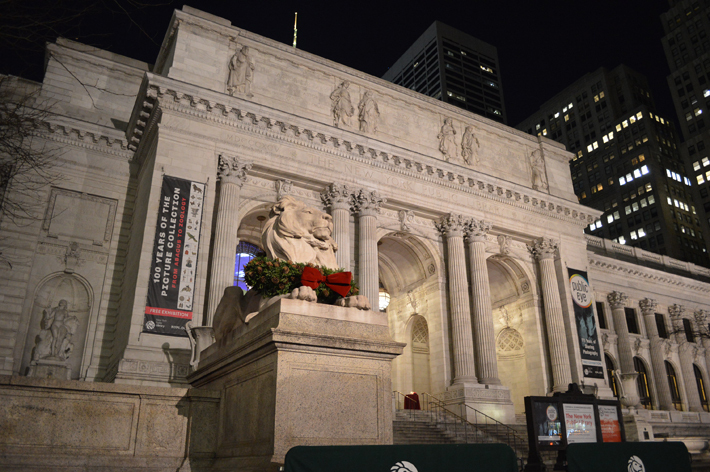 The 3rd episode is New York Public Library. 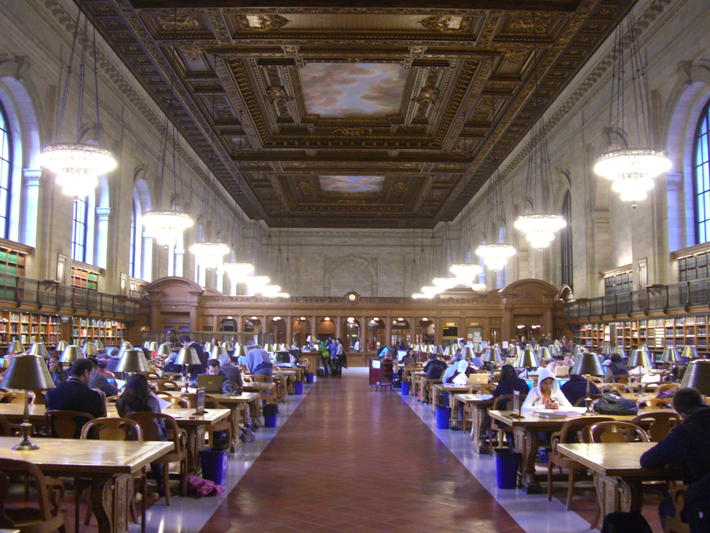 There are several libraries in NYC. 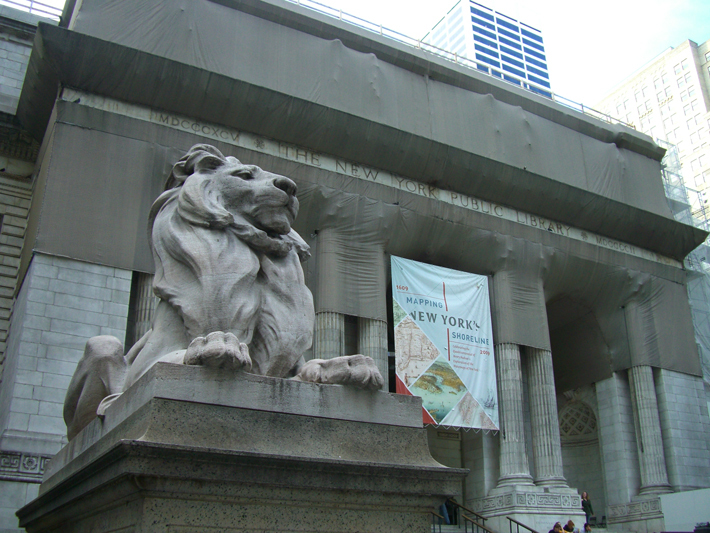 Main building that is in 5th Avenue and next to bryant park has lions at entrance as trademark is huge library. I used to spent many time here when I was NY. Because the school was near from here and I studied and met with friends here. These are pictures of entrance. The above is taken at 2009. It is under construction. The below is taken at 2015. The construction was finished. These are interior of the building. The architecture is very cool. 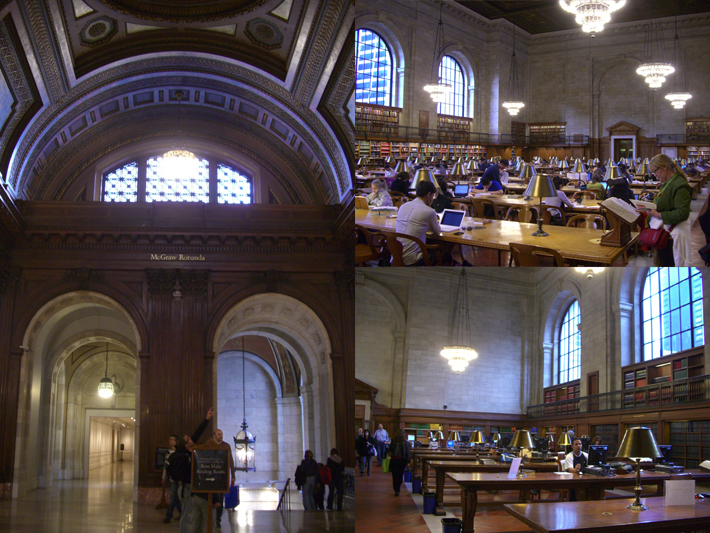 The ceiling is very high and combination of marble and wood feel like history. I love the big wooden table and gold table lamp. The alley is between the table in a line in study hall. Many people are always studying and reading books. I felt a little cool at the inside. It reminds me the reflected voice in marble space and smell of books. 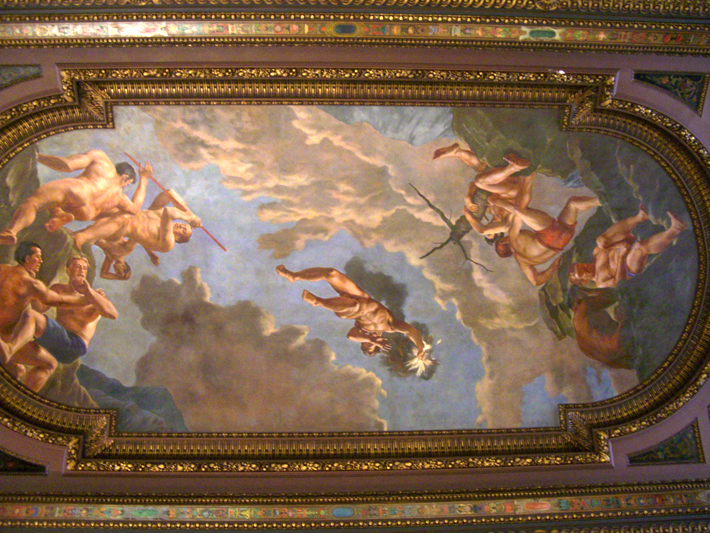 There are classical painting on the ceiling. 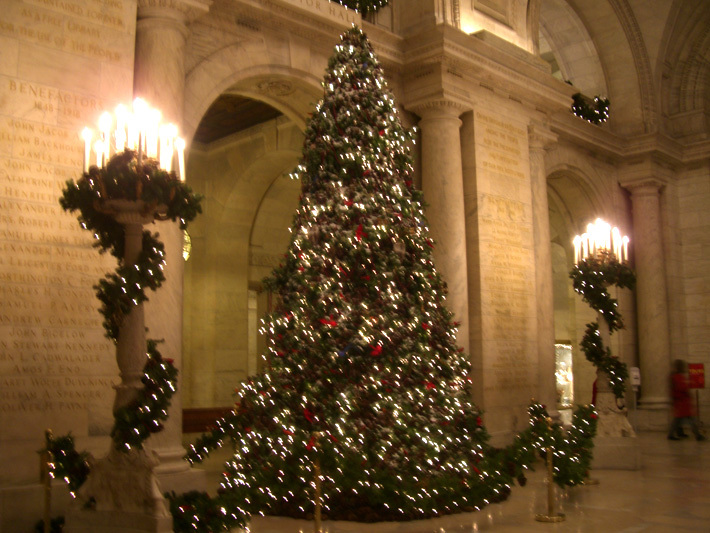 There was in big christmas tree at lobby. Actually there are many trees in the city and make me feel good. 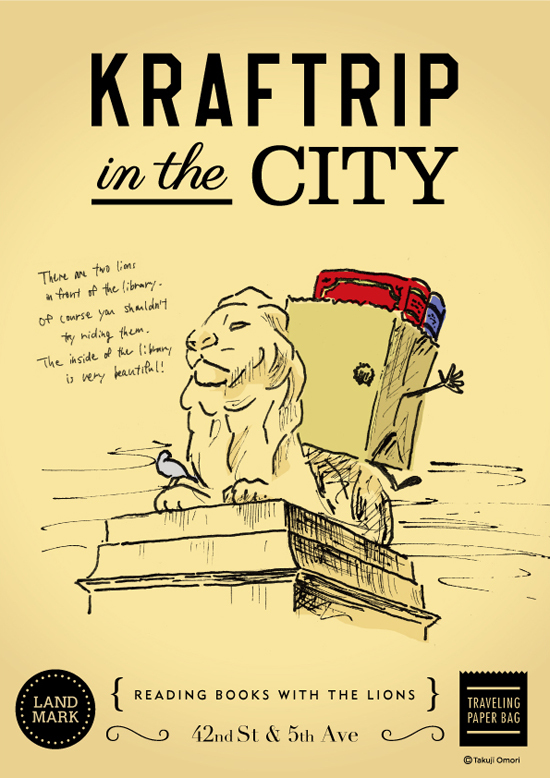 Check about KRAFTRIP in the CITY and past episodes from the banner below. The informations of the shops of works might be changed. Please make sure before you enjoy New York.